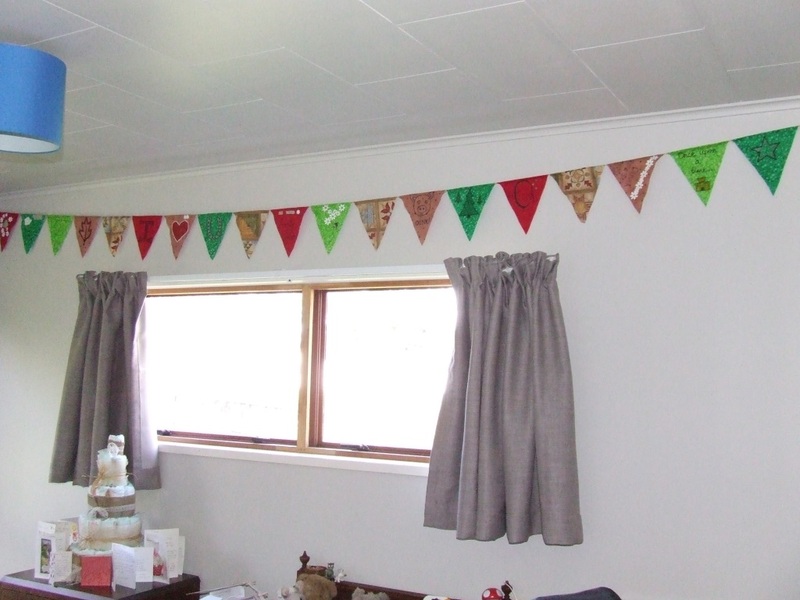 There’s something cool about buntings. They add a playful, creative and whimsical touch to any scene. I decided I must have one for Little Twiglet’s room. Decorating bunting flags was also to be an activity for people to do at the baby shower. I bought some Flat Fats from Spotlight, which are small pieces of fabric that come in all sorts of colours and patterns. They are a little bit dangerous, especially when half price. 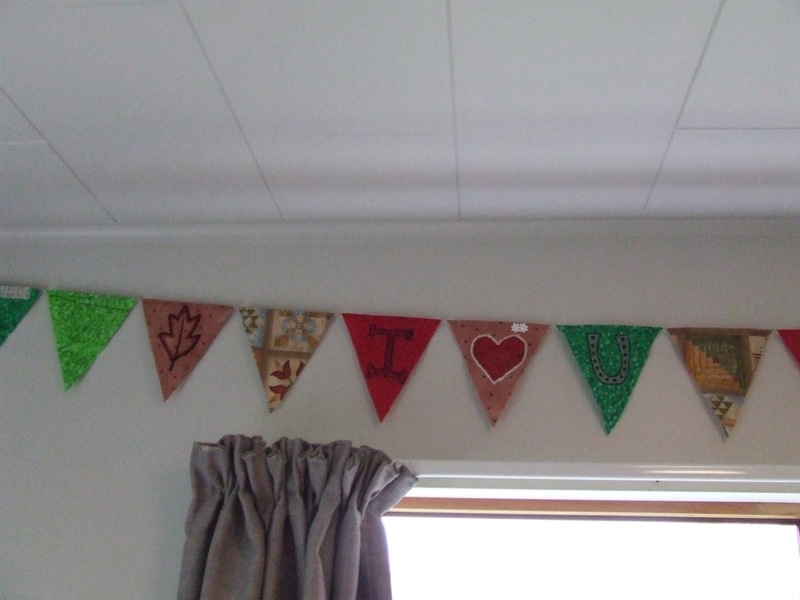 I used five lots of Flat Fats for the bunting, although I bought two lots of two of the colours since I liked them so much. I didn’t use all of the first lots either so have plenty more for another bunting or fabric project. 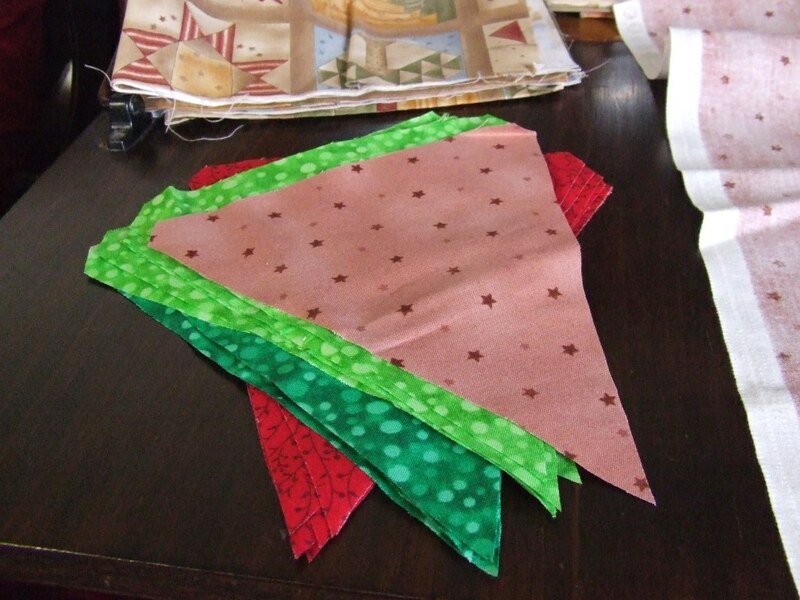 To cut out the bunting flags I made a cardboard triangle template 18cm long and 17cm wide at the top. The top corners were cut in on an angle to make a neat edge to tuck over and attach to the string. 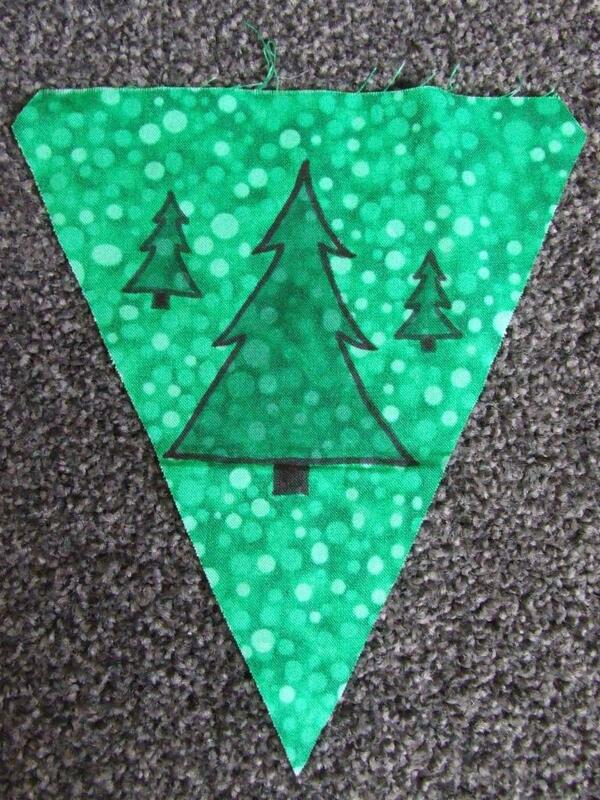 I used the template to trace out the bunting flags onto the back of the fabric with a dark pencil. 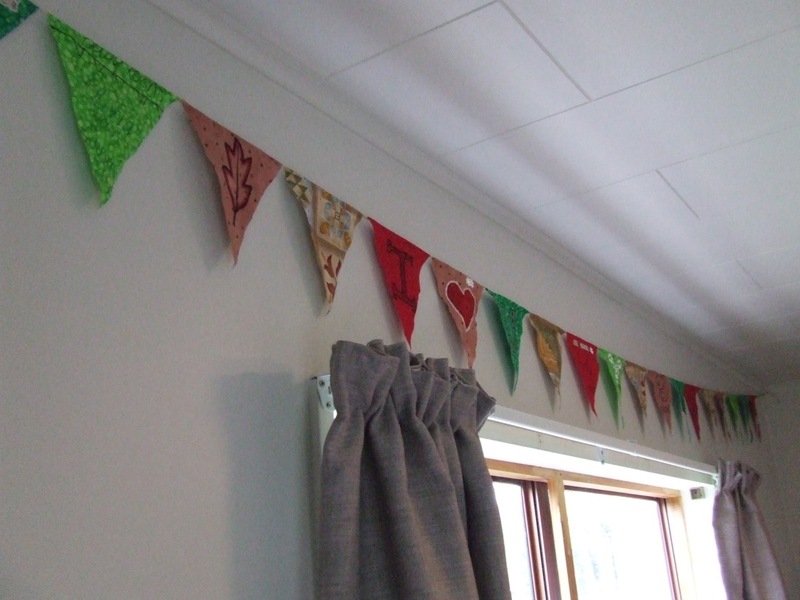 Outlined bunting flags. You can get a row of them facing both ways to maximise the fabric. 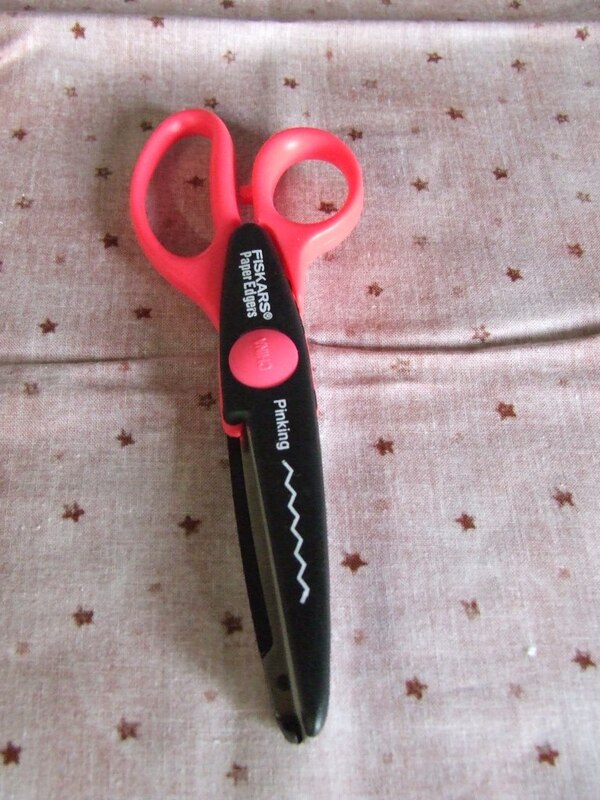 I was planning to cut them out with the new pinking scissors that I bought especially for said purpose, to leave edges that wouldn’t fray. Unfortunately, I missed the fact that the scissors are for cutting paper and card, not fabric, so they didn’t work at all. Oops. So straight edges it was. You could also fold and sew the edges or sew two flags together for a thicker, more refined look, but that sounded like too much work for me. 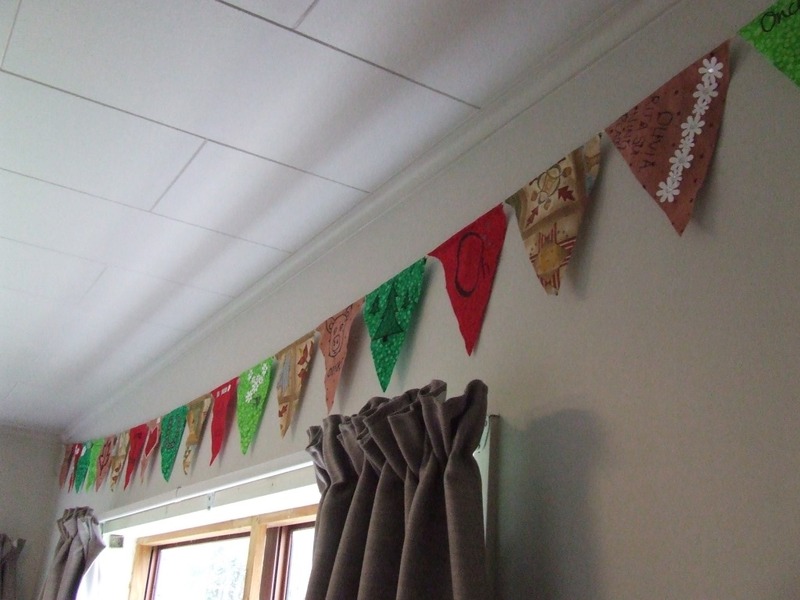 Some of the bunting flags were decorated by friends and family at the baby shower. The rest I did myself, which was rather fun. I bought some 1ply sisal rope, which is thicker than string, to hang them on for a natural look. 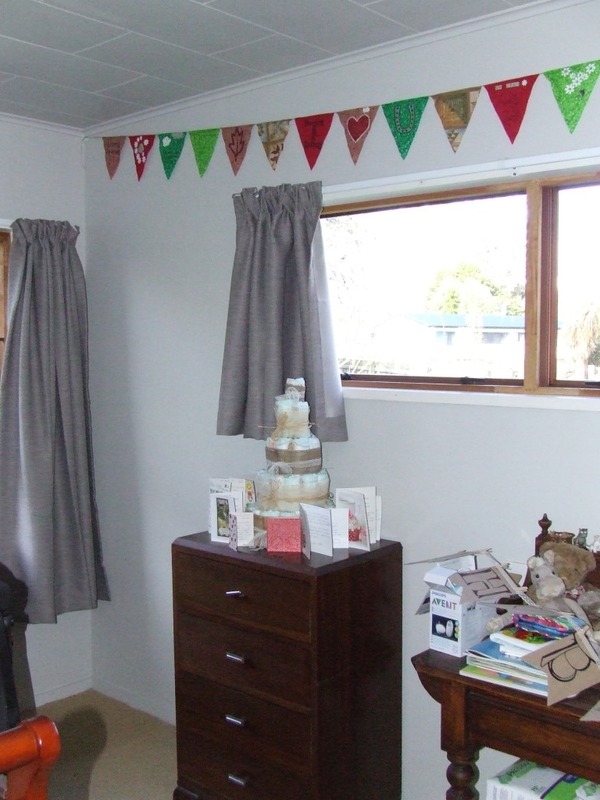 Once I had measured how much sisal I needed to hang across one wall of Little Twiglet’s room, I stretched it out on the floor and arranged all the bunting flags so I could see how many I needed and in what order I wanted them. Nala thought this was great and started fidgeting with and rolling on my bunting, so had to be banished.